NOAA's National Marine Fisheries Service is the federal agency, a division of the Department of Commerce, responsible for the stewardship of the nation's living marine resources and their habitat. NOAA's National Marine Fisheries Service is responsible for the management, conservation and protection of living marine resources within the United States' Exclusive Economic Zone (water three to 200 mile offshore). Using the tools provided by the Magnuson-Stevens Act, NOAA's National Marine Fisheries Service assesses and predicts the status of fish stocks, ensures compliance with fisheries regulations and works to reduce wasteful fishing practices. Under the Marine Mammal Protection Act and the Endangered Species Act, NOAA's National Marine Fisheries Service recovers protected marine species (i.e. whales, turtles) without unnecessarily impeding economic and recreational opportunities. With the help of the six regional offices and eight councils, NOAA's National Marine Fisheries Service is able to work with communities on fishery management issues. NOAA's National Marine Fisheries Service works to promote sustainable fisheries and to prevent lost economic potential associated with overfishing, declining species and degraded habitats. 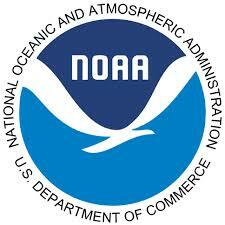 NOAA's National Marine Fisheries Service strives to balance competing public needs.